If you are facing a Terroristic Threats charge it is very important that you have an experienced attorney with a proven track record in winning criminal cases. 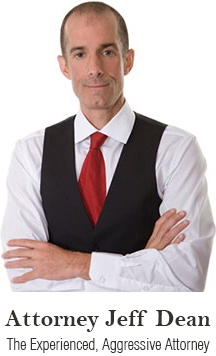 Defense attorney Jeff Dean has that record and he is widely regarded as one of the most respected and experienced attorneys in the criminal law. Jeff has had laws ruled unconstitutional by both the appellate and lower courts and he has won cases ranging from DWI and assault, to manslaughter and murder. For over 19 years Jeff has won dismissals of charges, acquittals, reductions of charges, and resolutions involving no jail time. Judges and the media have recognized Jeff Dean for his numerous wins, and other attorneys frequently call Jeff for his help in analyzing their cases. The offender directly or indirectly threatened to commit a crime of violence with the intent of terrorizing another or instigating the evacuation of a building, facility or vehicle of public transportation, place of assembly, or any other place in which the threat causes serious inconvenience to the public. Penalties include imprisonment of up to 5 years and/or a fine of up to $10,000. The offender communicates to another that an incendiary device or explosive is present at a specific location with the purpose of or reckless disregard of terrorizing another. Penalties include imprisonment of up to 3 years and/or a fine of up to $3,000. The offender exhibits, brandishes, or displays a BB gun or a replica firearm in a threatening manner. Penalties include imprisonment of up to one year and one day and/or a fine of up to $3,000. A terroristic threats conviction carries serious criminal and collateral consequences. Besides any sentence imposed, a conviction would make it extremely difficult to find employment and housing, and would cause society to view you as a violent person. To protect yourself against these charges, call Jeff Dean today.